Comprising seven essays by learned contributors and controversially advocating a rationalist Christianity, this work became a sensation upon publication in 1860. Frederick Temple (1821-1902), later Archbishop of Canterbury, wrote on the cultural contributions of non-Christians; Roland Williams (1817-70), Professor of Hebrew at Lampeter, questioned Old Testament prophesies; Baden Powell (1796-1850), Oxford Professor of Geometry, challenged belief in miracles and embraced Darwinism; Henry Bristow Wilson (1803-88) questioned literal biblical history; the only lay contributor, Egyptologist Charles Wycliffe Goodwin (1817-78), embraced geology; Mark Pattison (1813-84), tutor at Lincoln College, wrote on the history of rationalist theology; and Benjamin Jowett (1817-93), Oxford Professor of Greek, advocated a historical reading of the Bible. Wilson and Williams were later found guilty of heresy by a Church court, though this was overturned on appeal. 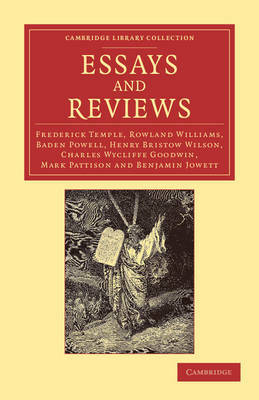 For readers interested in the theological controversies of the Victorian era, these essays remain invaluable.